One of the most exciting events on the PGA TOUR, the AT&T Pebble Beach Pro-Am pairs top professionals with Hollywood celebrities, renowned musicians and captains of industry, as they compete for a $7 million purse. The action unfolds on three of the Monterey Peninsula’s premier golf courses — Pebble Beach Golf Links, Spyglass Hill Golf Course and the Shore Course at Monterey Peninsula Country Club — with all tournament proceeds benefiting Monterey Bay charities. Congratulations to Phil Mickelson, winner of the 2019 AT&T Pebble Beach Pro-Am! Phil Mickelson chased down third-round leader Paul Casey with a bogey-free 7-under 65 to win a record-tying fifth AT&T Pebble Beach Pro-Am. Mickelson joins Prince of Pebble Beach Mark O’Meara as the only five-time winner at Pebble Beach. At 48, Mickelson also became the oldest winner in AT&T Pebble Beach Pro-Am history. Casey and his partner Don Colleran won the team title. Why is the AT&T Pebble Beach Pro-Am So Popular? Since its initial days as The Crosby Clambake to its current incarnation as the AT&T Pebble Beach Pro-Am, this beloved event is celebrated amongst competitors and fans alike. Here’s why. The AT&T Pebble Beach Pro-Am draws the top world-ranked professionals in the game today. From Justin Timberlake and Wayne Gretzky to Bill Murray, the Pro-Am features a big-name line-up. The action is played out on three spectacular courses, including #1-rated Pebble Beach Golf Links. With its star power and on-course hijinks, it’s the most entertaining PGA tournament of the year. Since 1947, the AT&T Pebble Beach Pro-Am has culminated with a final round on Pebble Beach Golf Links, consistently ranked by Golf Digest as the greatest public golf course in America. The AT&T Pebble Beach Pro-Am originally dates back to the 1930s, when singer Bing Crosby “gathered a few friends” to play a couple rounds of golf and raise money for charity. Known as The Crosby Clambake, the tournament quickly became a favorite among golfers, celebrities and spectators. "It means a lot to me, it’s a special place for me, an emotional place…my grandfather having caddied here…the overall importance of the tournament to the game and how much I love the place. It just feels great to win this tournament." 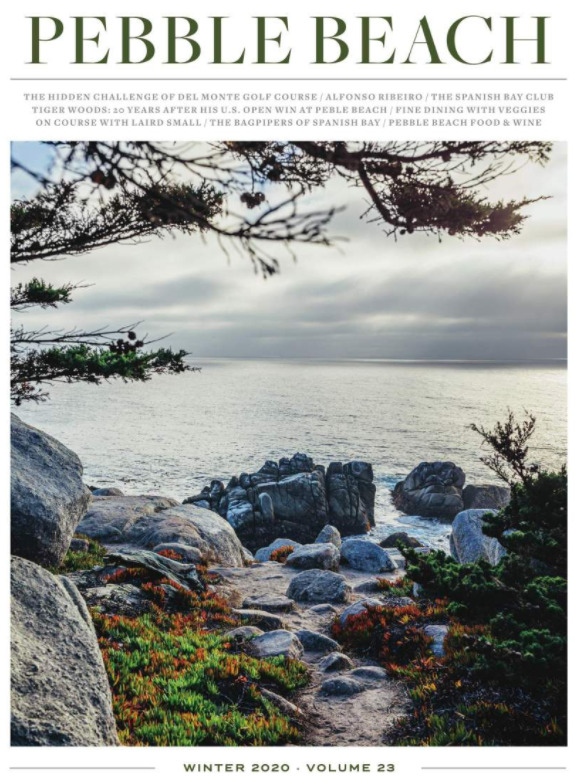 "Pebble Beach is one of the truly special places in the world. I love coming here every year, been coming here since 2004 when I just turned pro. So it puts you in a great frame of mind when you show up and you’re excited about being someplace…it’s unbelievable." "I don’t want much but I’ve always wanted to win (the AT&T Pebble Beach Pro-Am). It’s one of the greatest things you can do in this world."